The company says the recall is a precautionary measure and no other sugar products are affected. 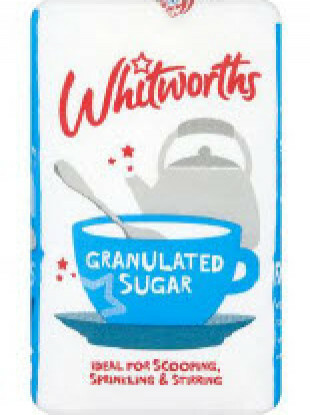 WHITWORTHS SUGAR IS recalling batches of its granulated sugar due to the possible presence of small pieces of metal wire. The implicated batches were sold in Dealz stores. Consumers that purchased the implicated batches are advised to return the product to the store it was purchased from for a full refund. The 1.65kg packs with a batch code of F301U81902 and F301U81933 are affected. Meanwhile, sesame seeds were undeclared on the label of the batches of Dee Durian Flavoured Thai Crispy Rolls. This may make the implicated batches unsafe for consumers who are allergic to or intolerant of sesame seeds. 150g packs with best before end of August 2019, December 2019 and March 2020 are affected. Email “Granulated sugar recalled over possible presence of pieces of metal wire”. Feedback on “Granulated sugar recalled over possible presence of pieces of metal wire”.